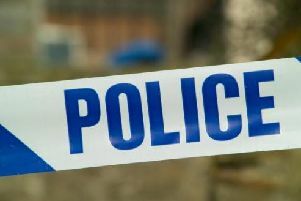 A man is in hospital after being stabbed three times during an aggravated burglary at a St Helens house last night (Friday). Three men, wearing dark clothing and balaclavas, forced their way into the property on Wood Street at about 11.30pm. 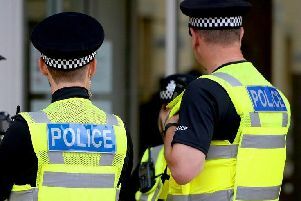 A 53-year-old man in the house had answered a knock at the front door when the three men forced their way in and attacked him and a 43-year-old man in the property. The 43-year-old man was stabbed to the stomach, back and chest. A 19-year-old man at the address who had been upstairs heard the commotion and ran down. Whilst trying to intervene he suffered a cut to his shin. A woman, who was in the address, was hit by one of the offenders during the incident. The burglars escaped empty handed. The 43-year-old man was taken to hospital where he has undergone surgery for stab wounds to his stomach, back and chest. His condition is described as stable. Detective Inspector Sue Hinds, said: "This is a shocking incident which has resulted in one man suffering serious injuries which required surgery and has left the other occupants of the address extremely shaken. I would appeal to anyone who was in the Wood Street area at around 11.30pm who may have seen anyone acting suspiciously to get in touch. "Incidents such as this are rare and this type of behaviour will not be tolerated. "I would appeal to anyone who has any information which could assist the investigation to contact us as soon as possible so we can find the people responsible and bring them to justice." Anyone with information, CCTV or dashcam footage is asked to contact Merseyside Police social media desk via twitter @MerPolCC or Facebook Merseyside Police CC.